In recent years, there has been a rise in popular, critically acclaimed teen-oriented dramas on specialized cable and broadcast networks that address important social issues like sexual orientation, gender identity, and ethnic affiliation. However, there has been a recent dearth of scholarship on emerging teen television, perhaps because the genre is deemed too ephemeral or consumer-driven to create real social change. 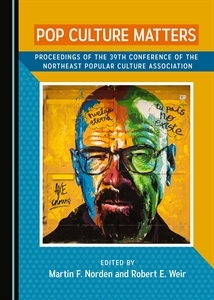 This panel aims to interrogate teen programming through case studies in order to expand the scholarship of teen TV to include emerging television discourses like industry studies, questions of representation network branding, and reception studies. This panel on Teen TV is looking to include two additional panelists. The panel is broadly conceived and encourages submissions relating to any aspects of young adult television. When proposing topics, consider the breadth of intersections between modes of representation, genre, industrial practices including branding strategies and audience reception. Please submit a 300-word proposal and a brief author biography to Katherine Lehman (klehman@albright.edu) and Robert Sevenich (sevenich@usc.edu) by January 5th, 2016. Decisions will be communicated by January 15th, 2016.